If you purchase this product you will earn 12-280 Points! Yet again another satisfying purchase of this stuff. 3rd time ordering hash. My 2 ounces were over by 2 grams! And amazing price! I have ordered this a handful of times now. I know what to expect everytime i order something from here especially if i have ordered it before. Quality is consistent all across the board. This hash is very good for the price. Thanks so much again…what a deal. This hash is a awesome deal…you just can’t beat this site…thanks everyone for fantastic service and delivery! You rock! Awesome stuff for the price !! Cant get a better deal! For the price I have to give it 5 stars. However, I’ve had much more potent hash, but it’s 2-3x the money. This is old school, feel in your body, easy to use and crumble hash you got in day. Anyone I’ve showed has been quite impressed for the price paid. Recommend. Another great product from CW, nice and gummy hash! YOU WON’T FIND BETTER HASH FOR A BETTER PRICE. Not sure if it’s the REAL DEAL but it definitely exceeded my expectations. Burns smooth. Crumbles nice. High is nice and mellow, not too overpowering. Add it to some sativa for a crazy mix!!! If you’re buying elsewhere you’re simply wasting your time ! Crumbles nice and love the taste. Hard to find hash this good this cheap gonna keep buying on the regular. For the price this is simply a no brainer purchase. Enough said. Smokes smooth, great taste, and smell. Love always having some because the price is incredible. Worth the buy! ordered this fine Mercedes Hash once again..will continue to order if in stock..cant say enough good things about it…keep up the great work Tony. just bought my 4th ounce i would rename this hash to buckleys hash it tastes terrible but it works awesome price real quick delivery no bs like a few other sites i have tried first review i have ever made avoid quickgreens.ca 2 very bad experiences. best budget hash on the net !! very clean taste, best budget hash on the net !! You cannot go wrong with the price! Dont let the low price fool you because it is not cheap and is of great quality in my opinion. Excellent hash c’est a ce demander comment Tony peu eclipser toute competition avec d’aussi bon produits. 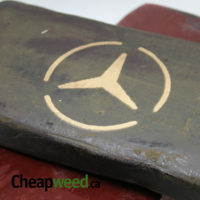 I am a regular of the Mercedes hash but at this price is totally incredible. Never I saw a low price at this. Extreme thank you!! This hash crumbles that’s why it’s cheap, great for the value it’s a AA, it burn ok….not the best. The Moroccan Hash is way better. It doesnt taste as good as the 90s GoldSeal I used to get, but for the price – this is the best hash ever! I have no idea how long hash lasts for … but I guess I am going to find out, I am getting at least another 2oz for myself. Nose is good. Looks good. Smokes pretty good. Price is definetly good. Bought quite a few batches over the last year. The consistency is always there. Thanks Tony and CW for a great product! This will be my 6th order i believe of the MB Hash. Please never take this away! Quality is perfect! Price is actually unreal. Can’t believe the quality for the price, thank you! Grabbed an oz of this to good to be true deal and was not disappointed at all. Great smoke all round. Jealous friends made sure that it didn’t last long. Will definitely be getting more on the next order. At this price, I hope the producer’s kid can eat. Great taste, great price, wanna be my best friend ? You just can’t beat this deal. It smokes and tastes great. Why shop anywhere else than CW for anything. Count is always on point or over. Just love this stuff. Just a little flame and crumbled beautifully. Perfect for rolling. Nice taste and high. And a price the working family man can afford. Thank you to the CW gang. No better bang for your buck, if you are a hash smoker, you won’t be disappointed! No changes needed. Great Hash!!!! 5/5 the same if not better than the overpriced dispensary hash! Ounce comes in a nice inch by inch cube, always about a gino extra no matter what you buy on cw! This hash is very fresh. The sides and end pieces are as soft as the rest of the slab. I have smoked several large joints of this and still have a gram more than the QP I paid for. Will be ordering again. Very happy with this purchase, definitely a good bang for your buck. Good quality hash, smooth burn, very mellow high. Picked up an oz as a side purchase and really nice to switch it up from time to time. Not repressed! Impressed!) Mid tier @ Very low price! Looks 10 29g! Ty! Scent 9 chocolate. Taste 8 tad harsh smokes 7. High 7 mellow. Price 10 I have been hash connoisseur spelt correctly since 80s! Yes not old school, but I paid $7g back when $7 was worth more & CW only charging $3.50 g Wow Buy 1 Oz or 2 You win! Bts, hot knives. pipe, bong, vape\ Joint & edibles TY! 0 Complaints! Nice buzz for Fantastic price!!! AA+ for high, AAAA Price CW AAAAA+ website, order processing, packaging, response emails, Variety, PRICE, Tony’s Knowledge. Staff & Growers 10+ God Bless! It takes a bit more, but don’t we all over toke anywho….lol Peace stay lit! Looks like the real deal feels bad smells great, tastes like repressed, beeen a hash conasore for 50!years definitely not old school. Highly recommended hash….great price, great taste…great buzz. What more can I say 😉 thank you CW ! It’s a steal of a deal. 4th time ordering and avent found cheaper or better !!! Found the taste and smell a bit too sour for my liking. Awesome Hash Awesome Price 10/10 for me. Just like the ol days lol. Great stuff. As I sit here and smoke this nice hash joint thanks to CW I have to say, I’m impressed!!! Thanks to Tony and his team for sending me my order! The Mercedes stamped black hash is one to try! Looks good, Smells Amazing and the high is nice and clean! Not the most powerful but is very tasty, pliable, crumbles when heated, picks up ez on knives, makes a beautiful salad for Jays. Amazing! thank you CW team for another great experience! Price is awesome, very fast shipping (3 days across country to Ontario). Great weight ( a little over weight which is nice to see ). Medium grade hash but for the price it is perfect cause it still does the job. Wish they had some afghan (mazar sharif) for this same price would be awesome, maybe some day!! Great hash as always . So cheap but yet so good . This hash is the hash you all smoke in high school . Nice to smoke great taist great high . Great hash, will be ordering again! This hash is smooth, awesome tasting and smelling and you really just can’t beat the price! Just a nice buzz. It’s not as sticky and annoying to handle as most black hash. I’ve never bought hash at such a good price. Spreading the word! Thank you CW! Oh my goodness!! You really can’t go wrong buying this hash. It’s mellow to smoke in a spliff and packs a good punch. Get some! This should be called Time Machine. The flavor and price are from days past. A welcoming high. Great addition when added to shmokies. Thank you very much! Usually always grab some of this with my order. Insane quality for the price point and just tastes fantastic. Thanks tony! Just like hash was back in the day, love it! Great taste and smell, real old school hash top quality! Great value! Personally I think the blonde morocan is worth the extra cash! Great for the price. My second order and everyone likes it. Will be buying again! wicked hash, good taste, just like the good old days!!! thanks! keep up the work!! Absolutely amazing stuff. First time trying hash from here and pretty damn good. Buying more this weekend. I just keep coming back for this hash! Absolutely a sweet deal…awesome hash..fast fast delivery…You can’t beat the service! CW rocks! Thank you! Re-order, love it. Love to see some mite varieties in the black. Good job Tony and gang! Ordered a bunch of times now… grabbed another QP and couldn’t be happier… always amazing quality for price! Love the smell! Will never find this quality for anywhere close to Tonys price! Well,Been Smoking Hashish since the early 70’s From Blonde,Brown,Red Leb..Nepal,fingers..Bombay..Kashmir, Different strains Of Afghani which is no Longer available ,also different strains of Hashish from Pakistan,Eq.Chitral which was only available in the Mid 70’s WoW What a Taste/Smell ………Buzz. Then of Course then the Jamaican Red Gum Hash ,knock your Socks Off.Enough Said ….My Thanks Goes out to Tony and all the Crew, to make this Product available/affordable to All The Hashish Smokers who can taste…smell…enjoy, The Buzz I would give 8 out of 10, great for the Price!!!! Wish I would of asked for a few shavings of the Moroccan oh well will give that a try with the next order,as far as Moroccan goes the Best was known as” Double Zero” All being said once again the service was great,thanks to Emma with some Questions.Placed my order 2 oz,s Mercedez Hashish Late Thurs, Feb 21st arrived this Monday Feb 25th West Coast……..East Coast.. Great Job very impressed with Time Of Arrival and the Packaging……….Keep Up The Good Work! great stuff at a great price.you seriously cant go wrong with this!!! Can’t go wrong with this stuff, especially for the price. Great as a bowl topper, add in to a joint or just on its own. I’ve made several orders so far and will definitely be ordering more. In Italy where I grew up , we only had large quantities of hash and very rearly had good flowers . This hash isn’t the strongest hash , but as an appassionato I can tell you that for 120 an ounc or less , it’s the best deal out there , and quality is good ! got two ounces with my first ever order from tony… love it! great buzz and made me feel relaxed and calm. thank you tony I can finally afford my medicine 🙂 I beg you to keep up the good work. I have a feeling I will be ordering here again. shipping was fast also. Very good hash for the price! Was black on the outside surfaces but when you cut into it is a nice light brown. This is good Afghan hash. Exterior was a nice black. I was worried it was going to be greenish inside, but when sliced the inside was a perfect brownish. The texture was PERFECT, it was not dry and crumbly. It was soft, yet grinded perfectly in my hand grinder with a small amount of tree. The hash made the joint very smooth, and the high was very light. The ash was super clean almost white. 4 stars because it could be stronger. I will order again. Hats off to Tony and his team…..very smooth smoke…….price unbeatable….floated back to 1976…..Will definitely re-order…10 stars. My second order of this just showed up today. Absolutely blown away by the consistency, quality, and price of this stuff. Add up all those factors and this is the best bang for your buck. Hands down! TG67 said: THIS IS THE BEST HASH for your money hands down… He’s absolutely right. For the price, hash of this quality is a smokin deal. Tony and company cannot be beat. And with the little extra i received with my 2 oz.’s, THANK YOU CW and Tony. You guys are the best! Smell and taste not that good. Will continue to keep buying this hash. It’s great!!! Good stuff! remind my of old school hash from the 90. Thanks tony for the best price in the universe! Great price…very soft and smokes and smells great. Ordered a few times and never disappoints. Definitely will order again and again. Who knew finding old school hash could be this easy/cheap. Ordered multiple times, great old school stuff that brings me back to the good ol days. Got thi awhile back and I got to say it was really good awesome in blunts thanks cw! THIS IS THE BEST HASH for your money hands down.great job cw. Excellent hash for the price point. Smokes nice. Nice mellow euphoria. I’m late to order more. I started smoking this hash and fell in love again. After a couple of bowls I wanted to eat the ball of hash. I can’t get over the flavor. Steal of a price. Already ordered more and will be a must have in my smoke kit front now on. This stuff is amazing, for the price and quality it’s worth buying again! Ordered 3 oz’s in the last month—hash like this is a treat for this price—As long as Tony has this, I’ll keep buying it up. Thanx CW, thank you Tony. Just received my QP today. Beyond happy with the quality of this hash! Closest thing you can get to the stuff straight from Afghanistan. The smell, texture, and taste is impressive to say the least. Looks incredible aswell. Easily the best deal I’ve gotten on any smoke, period! Thanks guys! Bought an Ounce of this stuff. It was Fabulous. Couldn’t get over the Smell Color outside, inside identical. Definately brought me back to days of old. Tx guys…Definately worth the Price. Was skeptical about the purchasing the hash as I havent seen good hash in a very long time. But after having purchased an oz. I was very shocked at how good it was! The high was awesome. Brought me back in time. Well worth the price and will definitely be ordering more. I had very low expectations of this product but was blown away by the quality. We have bought and reviewed this before but smoking this hash I have to say thanks to the whole CW crew for this incredible affordable deal. One full month of vaping this hash and I still think it’s amazing for the price. Crazy good deal! Great intro to hash ig anyone wanted to try it! As always Tony you blow me away with the quality, customer service and cost saving you pass onto your customers!! Keep up the great work!! Cant believe I almost forgot to drop my review.. this stuff is a blast from the past. I love it and I encourage people to try this out for sure you cannot go wrong if you appreciate good hash. Pinch me I think I’m dreaming … it’s like a flashback to the 70’s with the smell, flavor, stone and especially the price of this hash, I even broke out the knives and its been decades lol still to harsh ….hope my close Bro’s enjoyed the chunks they got for Christmas & a huge thanks to you Tony!! Absolute smokin deal. I love the taste. Burns really nice and smooth. This was my first purchase from CW, and it won’t be the last. Been a very long time since i smoked stuff like this. Breaks up perfectly. Nice texture. Perfectly pressed. Not quite like the 80`s black that i remember, but it certainly is a great hash, and for the price, how can you not grab a bunch of this. Initially had issues with the e-transfer, wasn’t sure if it went through or not, Tony’s assistant Emma was the absolute best, very quick with the replies, really nice to deal with. I will be getting more of this very soon. I am a CW lifer.Thanks Tony!! Looks beautiful and tastes great, cant beat the price thats for sure!!! In the future! Just love it. Nice colour very consistant as well as the smell. Smoke was very smooth also consistant gets u ripped and the tag well you cant complain about that great job CW! Hash is crazy good for the price! Will continue to keep it stocked in the goodie box!! Old school taste and feeling. If you made it this far, Just order it. you will be glad you did. I have bought this hash a few times now…and as usual the quality , value and customer service is AMAZING !!!! Fantastic price ! This has a little less oil content than I have had previous to CW. There is not much smell, but it does the job. Breaks up good and burns well. Getting more. Right on CW. Amazing deal. This is the 3rd time buying I believe. It takes me back to when I was younger. I absolutely love it and will buy again. Delicious hash!!! 3 1/2 lbs ordered and more to come.Worth stocking a bit. Unbeatable price. Pleasing smoke to exhale, sweet and spicy and earthy. Not incredibly potent but it will get the job done. Great to bake with. 100% would recommend to a friend. 100% will buy again given the opportunity. Old school stuff, my parents love it. Hi everyone, this some pretty tasty hash, well worth the price and it came on time with a little extra included! Totally class act!! I contacted the team before I paid for my order, was a little no very cautious before sending my limited cash. I explained that being a single disabled father I couldn’t get burned for $10, let alone the almost 4 hunge that I had to send! Well to my surprise Tony emailed me almost immediately, giving me a firm reassurance that there was nothing to worry about and they are legit. I am now a full-time customer, and I am really enjoying my black Mercedes gold seal. Very Happy with the whole deal, thanks CW! Good. Price, service and delivery excellent. Havent compared red seal vs gold seal yet. Had some of both colour stamps a couple weeks apart. just came this morning, ordered on thursday. this is some awesome hash for the price in my opinion, i am not disappointed. i know nothing about hash, but this got me high in my bubbler, burned clean and tastes great. i only wish there was bigger selection of hash, because ordering from any website besides cheapweed makes me feel dirty. BTW it was 31 grams!!!!! amazing. Great stuff. Easy to work with. great buzz and taste. Cant be beat for the price!!! Thanks CW! Good stuff! Cant seem to get enough ordered multiple times. Woot! Don’t let the price fool you, this is great hash. It’s worth a lot more then 120 an ounce at 250 I would still buy it. It’s a nice soft old school type hash that goes right to your head before going into a deep relaxing stone. I love this hash, can’t go wrong with the price either! Can’t go wrong with this hash! Top notch product , reminds me of the 80s in high school, delivery, quality , count and professionalism all 10 out of 10. Love my fudge, CW, you are my go to from here on in. Life time customer.. Thanks!!! Very good price good buzz fast delivery good communication thank!!! Can not find this price vs quality anywhere else! I have got a lb so far!! I read a lot of “reviews” before deciding to order the Mercedes Black Hash. I guess it’s the luck of the draw (depending on the batch) my friends liked the texture, smoothness,good buzz, what lacked was the flavor. They are old school hash smokers and were looking for that “sweetness” reminiscent of the old days. Service is good, discrete packaging. The look, feel strong smell of unsmoked hash. Break into it. Black outside, brown inside. Just like good hash should. The smell, everything tells you it’s going to be killer. For the last year I’ve been scratching my head. How did I buy this oz ON SALE for 99$..
I’m a heavy smoker thigh tolerance.. I prefer something stronger..
I’m not knocking it, the opposite.. This is priced too goid if makes you thing twice. You’ll be back… It’s great.! Ordered again since it’s soooo good! Forgot to mention, it’s really nice to get hash this fresh! Still can’t believe the price. This stuff is so amazing , very smooth, it just has the nicest buzz, very relaxing cant go wrong for the price..great products always with Tony. This is nice mixture with your weed…love it! I wont buy any where else! AMAZING!!!!! So smooth, tasty and hard hitting. Will definitely order again. A little goes a long way!!! I absolutely love this! The smell is just perfect, so is the buzz. I will re-order this one for sure! Amazing deal! Amazing! Easy to work with and easy to smoke! It’s been a while since I have had hash like this :). Great black hash I smoke lots n this was great!! Great hash for the price. Great for a treat if you’re not a regular hash smoker. Will be ordering again! Price for it’s Quality = 10/10, worth every penny. Level of enjoyment by old school hash smoker, Priceless! Amazing , tasty smooth smoking at a crazy price.. thanks again CW…just ordered second batch. Easily the best hash i’ve had in years. Thick smoke with the classic black hash taste. Will definitely be reordering. Thanks @Tony & CW’s Team ! Always amazing and the xmas deal makes it even better! Not the most potent, but it does the job just fine. Ordered on 24th December and even with the holidays the order was received on 31st December. The hash arrived well packed. Nice brick, smells piney and spicy. Easy to cut a little off and smoke in my pipe. Burns a long time. It took me back to skipping school and stress free life. The father in law was stoked to have a little for new years . Thanks Tony and CW team! Happy new year Tony CW 2019!! Great quality product for the price, cant be beat anywhere else on any other MOM. Quite the steal now that I think about it. Wow what an amazing price. Thanks to the reviews saying how great it is and that this batch is better than the last, I had to stock up with a kee. Superfast ship and kudos to Canada Post for delivering it a day early right before Christmas. The stamp on the brick is red seal. Stop looking around and order here bro, you’re not gonna find better. Period! I was pleasantly surprised at the quality of this especially at the normal or sale price! First time buyer = Life time buyer ! Good prices and quality smoke….honestly, I didn’t think it was possible. Thanks a million Tony and the Cheapweed.ca people! 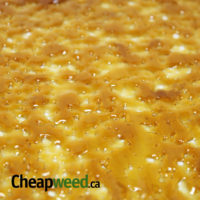 First time buyer Tony was great to answer back quick, Hash was great, price amazing . I’m waiting for my second order can’t wait to try the Blonde Hash and to top things off some Kosher kush . Awesome hash regardless the inexpensive price. Worth stocking up. Going through another order of this really and enjoying it. This hash is a fantastic deal; my last order was well over 2 oz. Thanks Cw. this stuff is awesome. sold half of it and smoked the other half for free! lol the only downside is that i feel like i have a few less brain cells! Good quality brick. ordered few times pretty consistent . For this price it’s almost a steal. Don’t hesitate to try. The service from these guys is unheard of. I ordered an ounce of this in Friday and I literally just picked it up on Monday in northern Ontario. More like priority shipping. I’m still shaking my head at the price of this hash. Don’t let the price fool you. This stuff retails for $300 in my city. This is some of the best hash I have ever smoked. I am a customer for life. These guys are the real deal. Thanks Tony for the welcome letter. Very professional. Love it will buy it again, easy to work with great body buzz! Reminds me of the good ol’ daze in high school! second time ordering! great value for sure, great secondary option! Amazing quality as always! The xmas deal on this is just icing on the cake. This stuff is legit. Old school brings you back to the hot knife days. Sticky when you start picking it apart and smells juat like I remember. Scoop some up at this price you cannot go wrong. A bit darker and “greener” flavor than last batch but still a phenomenal product at this price. Best hash I’ve ever tried. Smooth smoke & looks & tastes amazing. Will definitely be repurchasing again!! This is bomb hash especially the price. It reminded me of the stuff my brother let me try when i was 14. Its oldschool proper hash. CW does it right! Also, 199$ for 2 oz! My body thanks you! Have this in my cart, what a nice Christmas treat. Wow, 90s flashback, taste good, burns well, a no brainer, I intend to order an oz with every order I get from now on, or whenever it is available, Cheapweed 2nd to none. Last batch was right on par with description. Excited to try the new batch! Second order, same quality. It smells fresh, woody with an almost minty aroma. Soft and creamy texture, easy to work with without heat. Smooth and light hash taste. It burns well, vapes ok but smokes best. Potent, nice mellow/relaxing buzz. Some may feel that this is more of a low tier grade compared to other high-end stuff. Well, this “not so fancy” concentrate is an excellent product for an excellent price. Cheers! Great Price, nice nose, good look = Great Deal! Second time ordering this black hash very nice product!! Clean taste good and is very nice buzz. Definitely worth buying 🙂 very satisfied with my purchase thanks CW you the best!!! Ordered again for the third time yesterday. Previous two orders were great. Have had other ‘Mercedes’ hash from an alternate on line provider and it was not as good, very black inside, less pleasing on the nose and not as smooth or strong. CW’s ‘Mercedes’ was more red inside by comparison, smoother, better tasting, and stronger. This is a great deal!!! It’s always a must have on my list. This is without doubt the ” bang for your buck ” hash !!!!! Last batch I got was AMAZING !!! Great smooth , buzz and excellant customer service !!!!! Thanks you CW and team !!!! Great for the price. I really like it,chicolately/woody’s flavour i find. Have ordered this a few times now and always the same and always over! Can not beat this price vs quality anywhere! Thanks Tony! This is the second time I ordered this hash, and has been consistent both times. No worries ordering this product. Loved it, and was back for more, but it was sold out. Hope to see this hash again! Thanks CW! Nice texture,taste,smell, and high. Definitely worth buying. Looks exactly like the picture. Nice for the moderate user, or if you just love the taste of hash. If you a novice user , this hash average. takes me right back to high school! awesome taste and high, great for nights i cant seem to sleep! First time customer,Wow, couldn’t be happier. Fast shipping ,packaged really well ,smells and taste great ,very nice high ,great price. definitely ordering again thanks CW! Very nice. Just received my third batch, and it seems like the quality is getting a bit better each time. The count was over what I was expecting too. Thanks Tony! Classic old school hash, brings me back to my high school days. Nice soft texture, burns smooth. Good smooth smoke.ordering for xmas now.thanks cw. I smoke over a gram every single day. This is the perfect old school hash. First time customer and i am very pleased all around from good cheap hash to great service. I will be a repeat customer for sure !!!!!! Right on this is very good stuff for the price !! Cannot go rong ! On top with good quality hash. Great hash for the price, thanks CW! Crazy cheap for real gold seal. I’ve taken twelve oz now and super happy. Best online weed dealer there is! Winner winner chicken dinner! Fantastic! Go for it, you will not not be disappointed. I like it a lot. Really good prices and good product. Quite happy. Great hash for the price with a decent buzz. I would definitely buy again. Fantastic! 2 day delivery, well packaged, very well done guys! I have already order again, two times with exactly the same results. These guys have all my business from now on! this is my third order. this Hash is very good and smell. Great everytime I order. Perfect price! Wahoo! Great product.. definitely worth the purchase…will be ordering again. You will not find hash at this price point anywhere else !!!!! Not to mention it’s a super smooth smoke, and buzz. Oh and did I mention the super fast shipping and amazing customer service !!! Once again thank you CW !! Presley did not expect this to be as good as it is. Very malleable, great product all around. I can’t say enough good things about it. Definitely worth trying. Absolutely love it. Been nearly 30 years. Thanks so much CW. This hash is awesome ! Nice texture, does not crumble – more like a putty. Smokes really nicely fro that deep heady buzz. Classic hsh smell/tastes. Very much your Daddy’s hash! Very impressed with this hash,smooth & great taste, good body buzz. Will be buying this again & again, thanks CW. Bought an ounce of this a while back, for a change. Really enjoying it; brings me back to the eighties. For the price you can’t beat the quality. It crumbles up nice, smells great and smokes reallly smooth in big fat doobies. I will be re-ordering again shortly; Tony, you rock. My 2nd time ordering this hash. I love this stuff. Great price too. As long as they keep selling it I’ll keep buying for sure. Blonde Hash is tasty as hell too. I’ll be looking getting more as well. Fast shipping, packaged really well ,easy on the throat ,great price very nice high. Really liked the taste of this one. Great price. Thank You Tony, another order done Great! I just love this hash, second time back and I’ll be back for more forsure. 10 Stars all the way. Keep up the great work!! My 2nd time ordering this hash..You can’t beat it….The quality and quantity are bang on!! Fast ordering/shipping. CW you are a pleasure to do business with. Pretty good hash, had to wait for it to come in, as it wasn’t in my first shipment. The taste is very good, and the smell reminds me of having old stuff I use to have. Smooth on the inhale and exhale , gets you nice a fried, i’d Recommend it if you like smoking hash for sure. Great quality for the price ty CW! Worth the money. the price is good for the quality, I hope they never stop making. This is really nice and smooth gets you nice and stoned. I find it has a chocolatey/woodsy flavor. I have bought quite abit of hash throughout my years and i always come back to the mecedes black hash. Great hash at a greater price. Thank you Tony and team very professional. great stuff bought a bit the first time to check it out, was very happy ordered another 1/2 lb. Had some of my older buddies try it out and loved it just like the “old stuff” they said. Will continue to order more of this and anything else Tony offers. This is the real hash that we grow up with back in Italy! We use to call it “the cream”! Order an ounce, will definitely order more, for the price I’ll give 6stars. Package arrived neat and anonymous, with a 2g sample of an amazing shatter (wich I haven’t even ask for!!) 2 chocolate candy and a greeting letter from Tony. Very Nice Hash.. Not Quality of Marrocan or Jamaican… But Very Nice if i compare with all other Hash i buy under 15$ per gram. Good quality Price!! Bought this a few times. Great price. Burns nice. Taste nice. Flashback from the 90’s. Thank You Tony and his team, Fast, Friendly, Reliable, and most of all Real!! Now my rating on this Hash, very nice smell, tast, and nice buzz,over all 5 Stars in my books, will return for a bigger order very soon. First order from tony. Now, I’m hooked. The appearance was professional and delivery was prompt. 5 stars across the board. Cant blame him for postal strike and I live in windsor. Cheers. Ordering again as I write this. Great price great hash. Very nice mellow comfortable buzz. Will be ordering again in the future for sure. Old school hash !!! Je ne suis vraiment pas déçu de mon achat et surtout, pour le prix Thank you Cheapweed ! Qualité et service impeccapble ! I’ve tried multiple types of hash, and this was in the top 3. I thought at this price, it would be not as great as previous hash I’ve had. but nooo. quite the opposite! 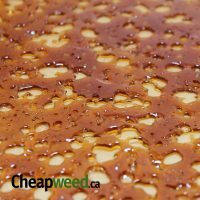 CW truly cares about providing quality hash at an affordable price, and whoever put this hash at this price, will have a special spot for them in the heavens! buy this! you won’t regret it. it smells sort of like minty chocolate, and tastes amazing. looks sort of like fudge. lol. I only ordered 2 oz’s as a tester but am getting a half p my next pay! worth every dime. the high is very mellow. very strong. gives me the giggles, and my friends love it. seriously cant go wrong for the price, will buy again ! Bought a QP, it is amazing. Much better product than an identically billed hash at another site selling for $170/O. A hit with the older generation too. I’m almost embarrassed to admit I paid $120 a quarter somewhere else, for black hash that wasn’t this good. I bought an ounce from CW at full price, tried it, and wasted no time buying 4 more on sale. This hash is very strong. It has a great taste and aroma. Thanks again Cheapweed!! Blast from the past. Have not used or even seen hash in more years than I can remember. Very good. Would highly recommend & order again! Happy Canabliss Day ! My very first order from CW arrived today, Oct 17 2018, great timing ! (only 2.5 days from purchase to delivery in Windsor, On.) To me, this is average black hash, not bad at all. I ordered 28G and it arrived in a nice one piece block. Great customer service and if CW continues with the awesome sales, then there will be no reason for me to purchase from anywhere else. You’ll see a lot of reviews by me, all starting the same thing. Amazing. All around awesome! At this price it’s WAY ON SALE compared to anyone else, and compared to the value!! ..
Really nice and super cheaop for the quality. I liked it so much I gave away two ounces to share. Nice to see this back, really good treat for the CW community! Great Value for the Price! Like a blast from the past doing BTs in the school parking lot during lunch time. GReat full freling Body buzz rounded out by a good clear head High! Looking forward to buying again!!! Amazing price! Great earthy flavor with a nice mellow buzz. Very smooth smoke. Would definitly order again! 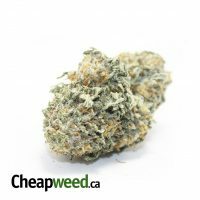 At this price it really is a no brainer–add in the classic black hash taste and throw in a mellow high and you can’t go wrong. Great job. 5 out of 5. Cant beat the quality/price on this one dont hesitate! Ok so this is the second time buying this and once again not only is this hash a great value for the price…good taste, amazing burning smell, easy to crumble, etc…the customer service group is stellar !!! Once again thank you CW !!!!!! I love this hash, so does everyone im with, all the time. I’ve bought lots of this and continue to re order, it’s very potent and packs a punch! Burns good, chocolate smell to it. Awesome price $99 ounce flash sale. Nice hash. Service was amazing! Thanks Tony! Disclaimer: I just read I get points for adding a review of product I’ve purchased. Truth be told however, I’ve had this black for a week and it’s beautiful! I was thinking I should write a review of it every time I sat back from a hit. Totally old school! Good as any of the best I ever had, great smell, texture and taste… flavorful as f*ck! and I love the buzz, good ole hash body stone with enough of the “wow I’m baked” head to go with it. Lovin it! btw, if anyone’s had both the blond and the black from here can you write a comparison review? I’m thinking of buying and the blond’s gotta be good from here but I never had any blonde that was as good as some quality black. Does it even compare? For the price cannot beat it!! This is a late review but this was my first absolute purchase online i took a hp because the price. The mail was extremely fast the customer service on this webside is amazing and the hash was decent. Definite 5 stars ⭐️ for customer service and price. This made a lot of people happy. Some old school quality black hash with that consistent brown color when broken open. Perfect for hot knives but I just put it in joints. I was impressed!!! Nice and smooth with a chilled high!!! wow, for this price its a no brainer. This is definitely one of the best tasting and smelling hash I have had in a long time. Colour and texture are spot on burns great in a pipe or in a joint definitely will buy again. Great old-school hash. Great value. Great price, even when not on sale. Very smooth, great flavor and smell. Tony and the CW team have been bang on for service, quality, and value. This is a great hash at an amazing price! I highly recommend it. Great product even better price! This time I got a piece of gold on it nice! Love the high and taste always. Awesome stuff! Really enjoyed it! Great value / smoke for the price…! Would highly recommend. Will definitely buy again !!! Jheez for the price I haven’t been more impressed. As stated like others it’s super pricey per gram sold anywhere else. Smokes clean and hits smooth. That’s a high 5 from me. Hot Knife ” or “BT ” it like bacjkin college , put it in your pipe or roll a spliff . It a quality hash that does the trick ; providing good hashy stone. I give 4 of 5 as it could be richer in aroma and flavour. Otherwise awesome deal ! Great buzz and flavor especially for the price old school hashish. Price 10 buzz 6 smooth but not great 4 bottle tokes make small great pipe in joints wow not hard hitting but mellow relax that lasts 0 side effect best price on the net I Hope Tony CW get Gold seal jamacian gum nepal afghan cream lebanese red nd blonde understand pricy but your always reasonable i recommended on leafly reddit any1 who listen only Mom I order weed from now get me 2 leave tge cat behind get me 4 hash only 2 i like ur stress free delivery Shop here with confidence!!! Good black hash. Nice and soft easy to work with. I love the tea smell. Good smoke.I would buy again. It’s hard enough to find hash these days let alone to find stuff like this for $130/oz. I didn’t have high expectations when I bought it but it really smokes well and is smooth and tasty. The high is mellow and relaxed and it lasts. This will not be the last time I purchase this product, I hope the price stays the same because it’s such good value. I’m old school, always been fond of good hash. This has a nice earthy taste, that good ol’ familiar mellow hash high. You just can’t beat the fantastic price compared to several other MOM’s selling same stuff. Good job! Thanks for all the effort & good work you do keepin’ us happy/medicated! This is some wonderful hash. At this price point, as others have mentioned is a complete steal! The taste and the texture are both winners, then you talk about the high.. whewww this one will get you coughing haha. Enjoy at nighttime with some heavy indica flower for a fun salad! Amazing service fast delivery. Hash looks same as seen on website and the taste is very nice. Great high and price got this for 110 on sale. Was sad when I missed the 99 dollar one! Will order again at the 130 price worth it! It’s not your tastiest hash, but the buzz is smooth and the price is unbeatable at this quality. This is very good especially for the price cant go wrong great job tony and crew! I give it 5 stars just because i can not believe the price the hash itself is really potent and is really good , great quality for an amazing price , smoke is smooth and tasteful . Picked up some of this when it was on sale, glad I did. Decent dark, soft hash. Earthy and full flavor with a nice mild high, great for daytime use. Was lucky enough to get 2 oz on sale. Was asking Tony when new shipment will arrive. Will buy again…Great value for money. Loved it. Great stuff. Nothing wrong with this..smells great, tastes great and a good buzz. Tried in morning..was great! Will buy again!! Thanks cheapweed! Really good hash for a really good price! Will be buying again for sure! This is so amazing, had it while on sale at 99$oz. Wasnt expecting anything extraordinary with it but was really impressed when I received it. Real old school hash, great add on to a bowl/joint. On top of that amazing customer service !! I’ve haven’t seen classic blast hash this good in over ten years. I don’t think I’ve ever seen this low of a price for such quality smoke. I’m really hoping this gets restocked real soon. Really good price for this quality hash, love it. for 100 bucks. Not that it needs to be said by being 102 or 3rd person to comment. Its great hash. Get over it haha. 🙂 hells yes. Thank you cheap weed you rule! Just cant get enough, 3rd time buying. So smooth and the taste is unbelievable. Very Satisfied. 4.1/2 stars 10 for service. Unbelievable deal. Nice colour, texture (soft side my preference ), smells lovely and burns well. Clean mind buzz and gentle relaxing body buzz with a med high. Hash is my fav. Excellent service. Arrived in 2 days. Nice texture, but quite dark. Nice mellow indica buzz. For the price, it’s a steal! my 2nd oz i ordered as well and same stuff received. A+ thanks tony. if still available come payday. this sites my fav and #1 i enjoy this and price obviously is dead on.. this is my new MOM site i used to order from other ones but no more lol, only here if these prices stay the same.. Even if this stuff wasn’t on sale it’s still a deal. Soft with a nice aroma. Burns nice, mellow head high, real good body buzz. Bought some hash and was very impressed with price and quality. Very impressed with speedy delivery, too! Was almost 9g over weight. Foe the price it’s great.but I’ll probably not cheap out next time. This hash is soft , pliable yet not to crumbly. It has a nice aroma when you break open a chunk and burns smoothly with a quiet finish. It has the umph we may expect from this dark Afgan Hash . In a pipe or a blunt it does the job like a pro by relaxing ones mind and body at the end of a day on the go ! Good bang for the buck ! Awesome hash, awesome high and awesome price. What a deal, perfect for a change. Love this site for all the variety! Jheez for 99$ I haven’t been more impressed. As stated like others it’s super pricey per gram sold anywhere else. Smokes clean and hits smooth. That’s a high 5 from me. Husband loved it! He highly recommends it! My 2nd Oz I’ve ordered. Had to get another one at the 99 bucks….amazing deal. Is it the best hash I’ve ever smoked? …No….but it is good hash and the price is out of this world. Hard to go wrong at this price. Nice soft texture. The aroma and flavour is definitely different than traditional hash—not bad just not the familiar hash scent/taste I’m accustomed to. Decent bang for the buck. Fast shipping and discreet package! At the $99 sale price I was expecting it to be mediocre hash but was pleasantly surprised at how good and smooth it was. Excellent price and value for good hash! Smooth. Nice buzz. Super great price. I see folks thinking back to 80s and 90s. Try 70s Montreal . !! Mine just arrived (ordered it Wednesday, here on Friday…fastest delivery I have ever had from any MOM!). At this price, I was all ready for ‘too good to be true’ but it is on weight and lookin’ good. Time to take it for a spin! Its old school black hash that I still pay $15 a gram for locally. $99 bucks for an oz? Even at $130 this is a steal. 5,000 stars outta 5. *first time cx here and very happy! The Look: It… looks like hash? It comes in a 1oz ball, looks like a golf ball made of dark clay. But you can’t get baked smoking dark clay, or golf balls for that matter, so here we are. The Feel: Softer texture, sticky, but doesn’t leave residue on your fingers. It’s great for forming into skinny snakes for joints, or pucks to smoke out of pipes. However, it is a little bit difficult to crumble it without heating it first. You can avoid the extra step so it is best to grind it alongside your weed. It didn’t gum up my grinder at all. The Smell: This hash, despite the pricing tier it sells for, has a phenomenal bouquet. Slightly floral, with earthy notes and quite a pronounced scent of dark chocolate. The scent is much more noticeable and distinct with higher quantities of hash, so you are in for a treat if you get this. The Taste: Average taste of hash – It doesn’t differ much from other Moroccan hashes that I have tasted. The Effect: Relaxed, heavy eyelids, calm. Over-smoking (and I did over-smoke this on numerous occasions) will reduce effects considerably. It isn’t the strongest hash out there, but it works very well if you don’t overdo it. Will not do a review out of 10 for this one as it is a price value item, but i smoked some of this in a home made bong and in a joint and taste and smell was nice, also cooked brownies with this and they were great. If you want a nice mellow body buzz, definitely give this one a try. Very malleable stuff. It absolutely tastes and smells like hash. This is your standard mass produced black hash. I prefer hash with a yellow or even green tint to it when broken open , but at the price I can’t complain. great classic hash, nice scent smoooth smoke nice subtle high. i dont roll a joint without it anymore, and you can not beat the price. I don’t understand the reviews people give this stuff, they probably never smoked real hash before . This stuff is pure crap doesn’t taste like hash nor does it smell like hash and no buzz. The stuff is brown play dough . I love this hash! This is the second time I’ve purchased it. Can’t beat the quality and price. You won’t find a better deal. Reminds me of the black hash from the 90’s. Totally worth every penny, I got a real sweet deal on my Oz, is worth the original price at 130 now with sale its much cheaper such a good deal. Doesn’t smell too great tho most likely due to where it was stored, but once you burn it, smells like nice afghani, taste is nice not like smell lol, I found it pretty potent, powerful high, great on its own or as a bowl topper. Its really soft and is sticky I rolled mine into a nice big temple ball looks really nice. flashbacks to the 90’s. great stuff for the price! For the price can’t be beat. This was great. I don’t have much exp with hash but i’ve learned not to smoke too much in fear of my mind melting! Thankyou Tony for taking me back to 1989. Nice black hash like the good ole days. Thumbs up to the price too. Like the 80′ stock, memorie hash! Good taste and Stone Time is great! Super smooth. Cant believe the price. Best Oldschool ive ever had i think. Very nice stuff, tasty, smooth, and great price! It smokes so smooth. And by the way thank you so much for the over count. Much love!! Worth every penny! Thanks Tony!! Even got the Gold seal in my batch. Awesome price! Great stuff! Even got the Gold seal in my batch. Awesome price! Good hash, pretty tasty and surprisingly potent. Pretty hard and not too crumbly. I feel like I’m 17 again doing BTs in some random basement. At this price, it’s great to have a stash of hash around for when the boys come by. Reminds me of the good old days. Potent smoke and great taste. Honestly I like it better than the Blonde Moroccan hash. This stuff is easier to work with and melts way better, it is soft to the touch and has that classic “black hash” smell and taste. Great stuff! Mild & Smooth. Better than any budget hash out there. Touch crumbly and definitely not exotic, but a solid 3 star bumped to a 4 with price to quality taken into consideration! Good bang for buck will be buying again. Mid-tier black for an incredible price…great for a mellow nighttime glow. First time customer, was very skeptical about ordering! Wow, couldn’t be happier. Thanks CW, will be a repeat customer for sure! Was very sceptical about this hash before making my order but at the price i said I’ll give it a try, and was very surprised got great buzz and the taste is good no harshness on the throat and nice and smoth will definitely reorder. By the way this was the first time doing business with you guy’s and i found very quick delivery and fast to answer a question thanks guy’s. Bit crumbly but decent smoke. For 130 not bad buy at all, but not quite what I’m looking for. Wow prices amazing, little soft but smoke and taste is great. 8.5/10 will be getting again For Sure. Great Stuff Not too hard not too soft. smooth smoke, burns endlessly, and after the price drop it’s a steal! It was crumblyer then i like so I pressed and I couldnt be happier with this. great taste nice smell smokes perfect. best hash for the price! Smooooooooooooth and relaxing. Rolls nicely in paper. Amazing for the price. Love hash and this brings back memories. They hit the mark on this one I think, especially for 130. Hash is black just like the description, burns well and has a nice kush taste which is surprising for the price. And ive never had any problems with this site i would really recommend it if you havent ordered already. Overall it’s pretty good hash, especially for the price. I’m usually not a fan of hash, but got this as part of the 420 promo and enjoyed it. Not what I’m looking for but for the price, it does the job !!! Amazing service fast delivery. Hash looks same has seen on website and the taste is very kind. Great HIGH and very good for pain relief. I recommend !!! I could not be happier with my purchase. Not only is the service excellent in every aspect; the order process, accuracy of product description, quality, delivery time, packaging, communications, just everything done right. But… it also lives up to the business name as the product is exactly the same Mercedes hash, same taste and quality, that has been selling for considerably higher prices locally. The only thing cheap about this vendor is the prices. This brought me back to the eighties, taste the same. Great High and great for pain relief. I enjoyed this hash .great price, smells great. Awesome stuuf to have around. Good product. Smokes nice and looks exactly as pictured, black on the outside medium brown on the inside. Couple of bowls shut down my back pain and put me to bed early last night. Breaks up super easy , nice relaxing buzz . Taste is great too . A great bang for your buck! A little crumbly for my liking but smokes nice and does the trick. Easy to break off chunks as it is kind of soft. I find most people like a harder hash but this stuff does the trick! Nice and tasty with the classic earthy flavour. Nice body stone after a big hash joint of this stuff! Fantastic stuff! not gummy at all, little flakey with a touch of moisture, was perfect in a joint or blunt. By far the best hash I’ve had. Smokes smooth, smells great. Love some hash after a long day. What a steal. Local prices are absolutely absurd for hash. Will be buying again for sure!